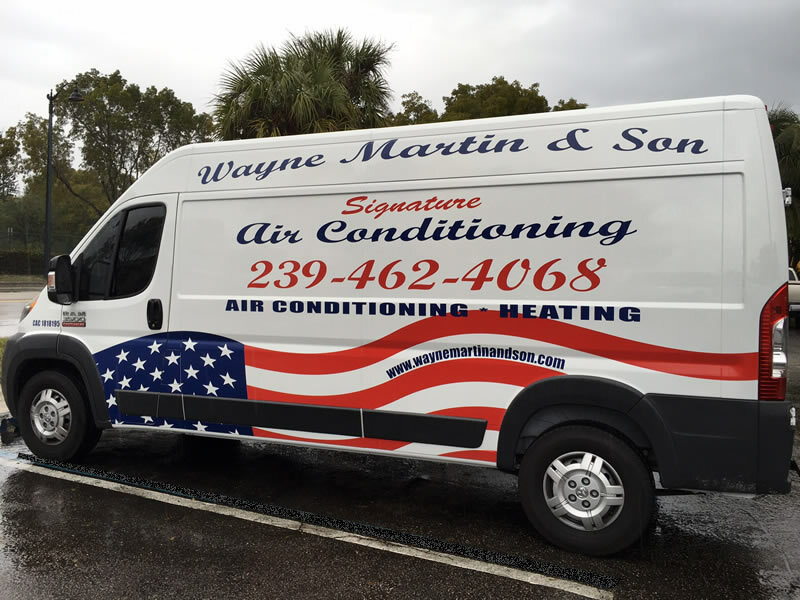 Wayne Martin & Son Signature Air Conditioning was founded by Wayne Martin and is a family owned AC Contractor since 2004 which was later purchased by son-in-law Ben Voit in 2012. Ben moved from Indiana to Florida to pursue work in the air conditioning repair service field. He now has over 25 years of experience in the heating and air conditioning industry. Ben met his wife Angie shortly after moving to Florida and has now been married for over 20 years with a 19 year old son who is also pursuing a career in the air conditioning field. Their son has a goal of taking over the company one day. They now live in Alva, Florida with their son and 2 dogs. Watch for great career opportunities with Wayne Martin and Son Signature Air Conditioning. We will keep you cool in the midts of a heat wave!